Statement nails were all the rage at the runways of New York’s Fashion week and there was one rather eyecatching nail trend that that I simply had to try out. Half moon Manicures empitomize 1940’s glamour, however 2011 sees this nail trend evolving with a modernised twist to this classic look. 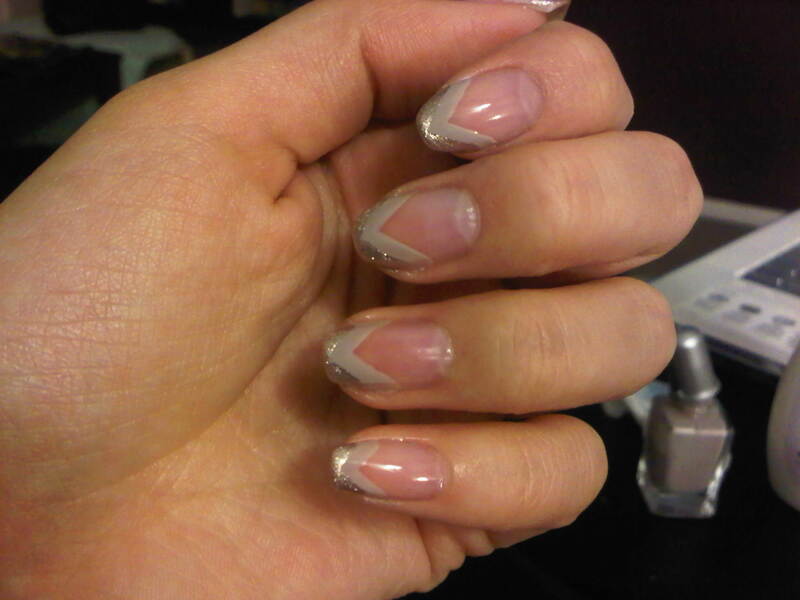 and as difficult as it looks, this nail trend is actually relatively easy to achieve providing you have the right tools. 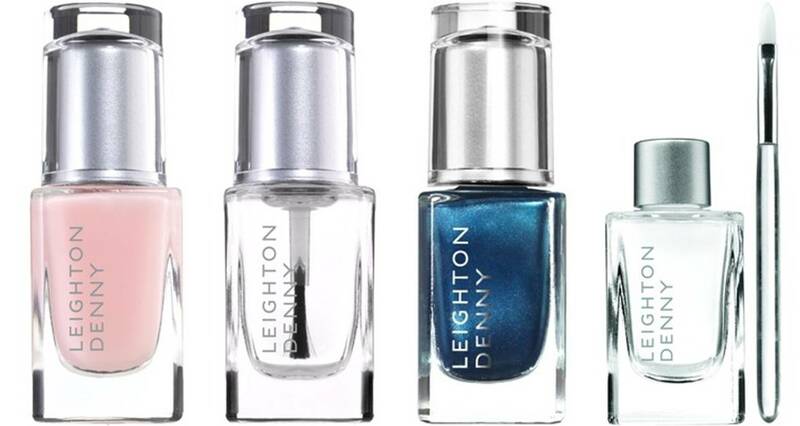 Leighton Denny Expert Nails Precision Corrector Liquid (£11 at www.LeightonDennyExpertNails.com) makes Half Moon Manicures a breeze to recreate, simply dip the brush provided into the liquid and use like an eraser to shape and tidy the polish/effect you want to create. 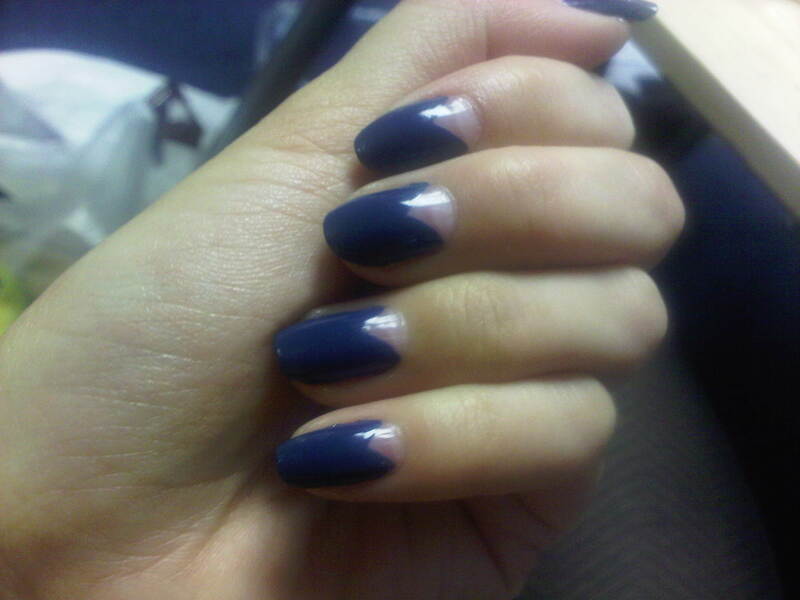 Try the look below for an easy to achieve and simplified take on the Half moon Manicure. Always apply a base coat to protect the nail and prevent staining and prolong polish wear time, then apply a Top coat to seal and protect your colour! Tags: Half Moon Manicure, Leighton Denny, Nail Trends, Nails, Precision Corrector Liquid, Ruffian. Bookmark the permalink. 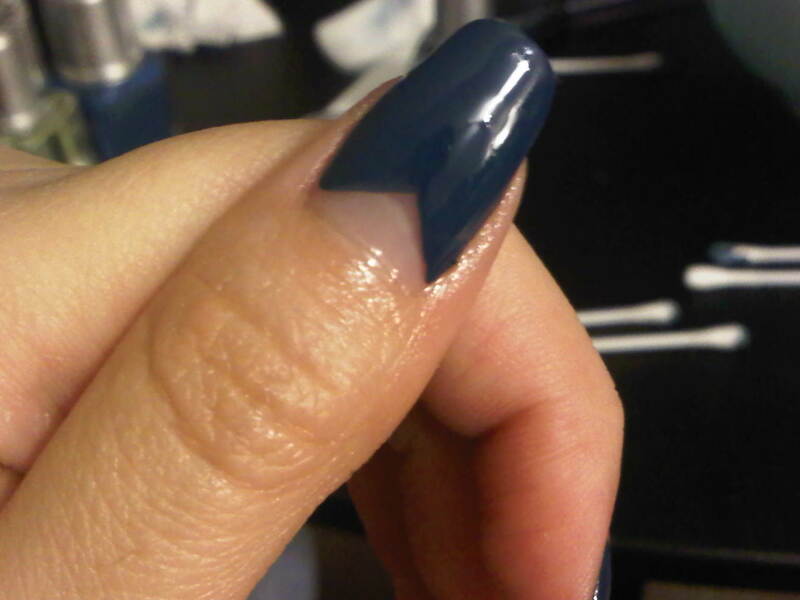 ooh i like your triangle moon nail thing, whatever its called! i think i prefer the moon being in colour though?